Maya Chhabra is a poet whose work has most recently appeared in Mythic Delirium, The Cascadia Subduction Zone, and Star*Line. Her novelette Walking on Knives is available from Less Than Three Press, and her novella Toxic Bloom is forthcoming from Falstaff Books. She lives in New York. 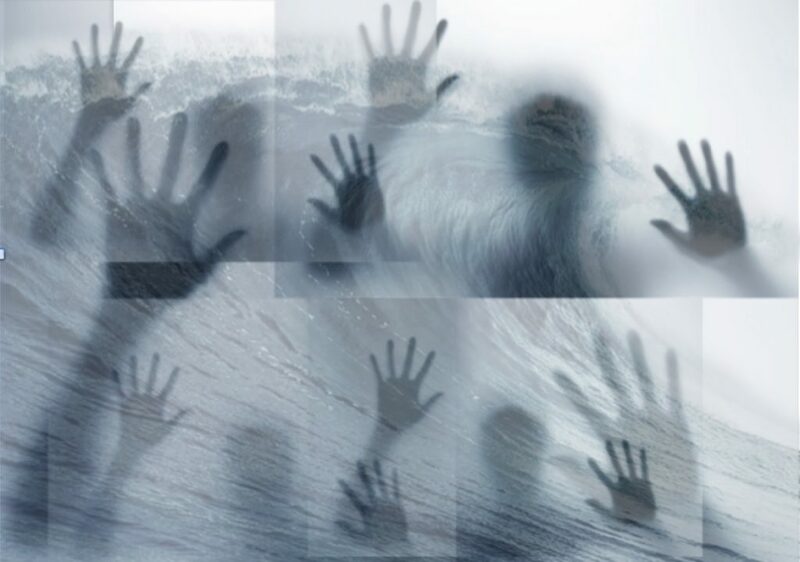 Editor’s Notes: This ghostly poem with 8-syllable lines and an abab rhyme scheme is complemented by multiple images of the same thing—a scary hands image from sales person Ken Thoreson’s article “It’s Scary Out There”—with varying levels of transparency. The background ocean “blue wave” graphics is from pngtree.com.